With EggTimerPlus you always get your perfect egg! Do you know the feeling when you're glad on a delicious egg and then it's to hard or to soft? These times are over... Bon Appetite! Choose from a selection of eggs based on your region. 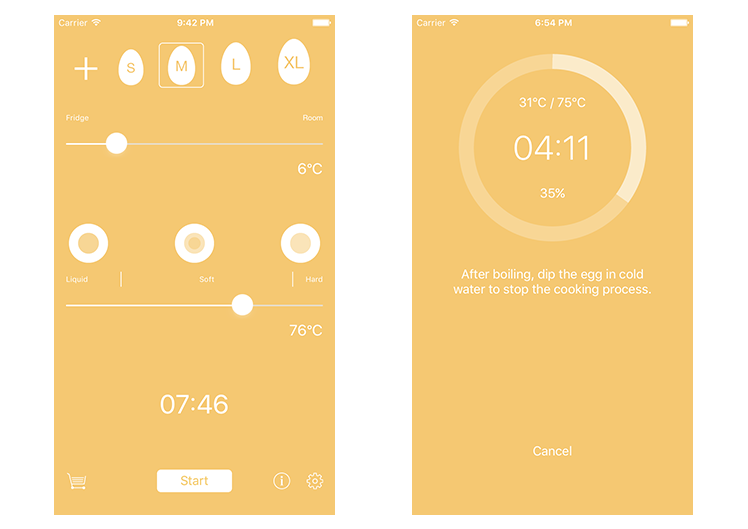 Select the start temperature and the end temperature - EggTimerPlus calculates the perfect cooking time. 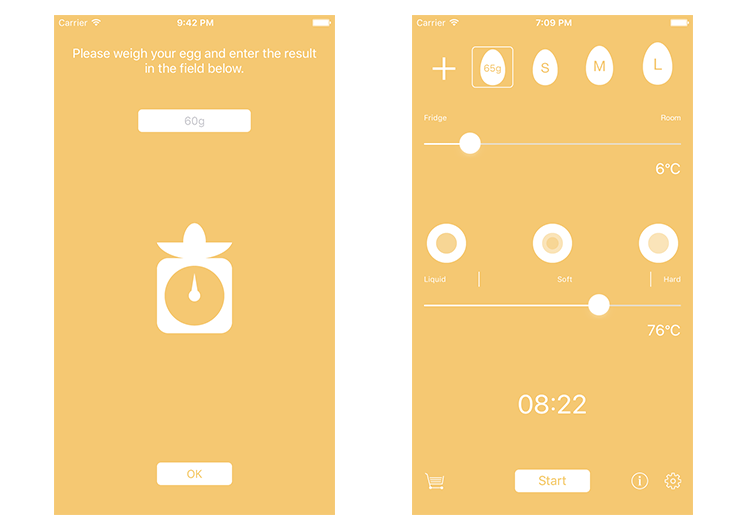 Weigh your personal egg size with a kitchen scales - very accurate. 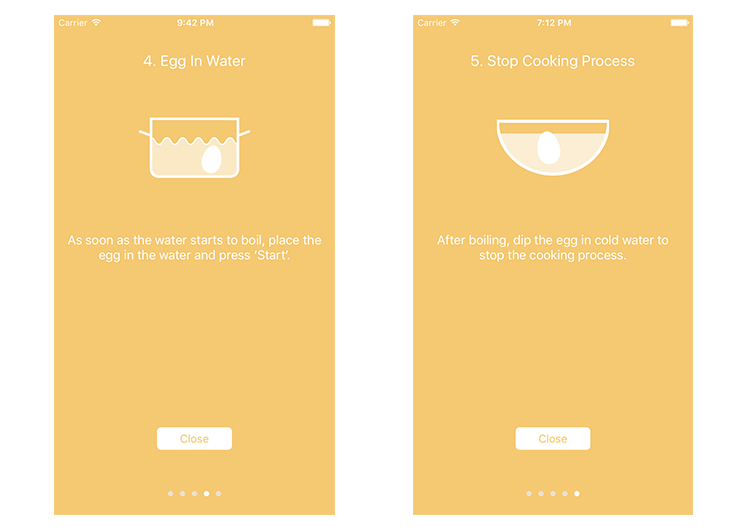 Get help with your egg cooking process. Find helpful tips and tricks - you will never cook a bad egg again.